Former Hamlin County (South Dakota) resident Helen Marie Stormo passed away on Nov 12, 2018, in Moscow, ID, where she moved after her husband Charles passed away in 2015. For most of her life, she and her family lived on a family farm where she did her best to instill in her offspring the values of patience, generosity, the joy of sharing food and labor, and the importance of helping neighbors old and young, friends, strangers and bottle lambs. 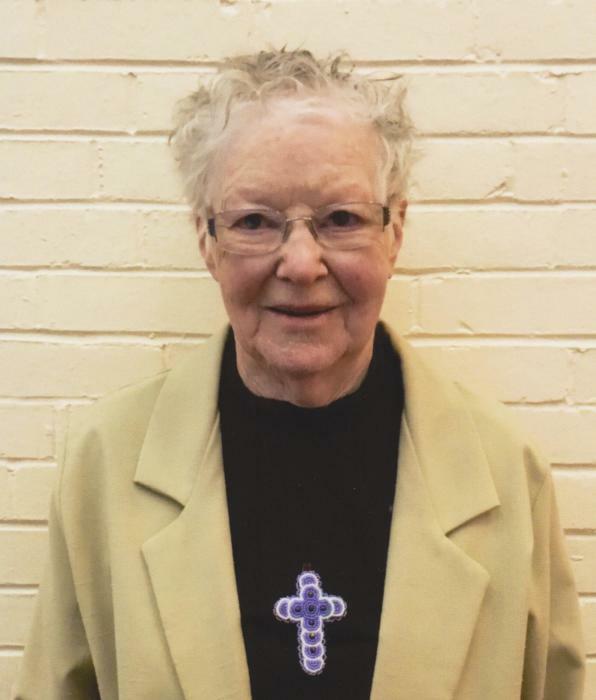 Helen served local and worldwide missions with her quilting, knitting, Mission Builders, clothing trips to Pine Ridge and by being a sweet neighbor. She loved playing pinochle, puzzles, singing with great joy, and traveling to see kids and grandkids. Helen Marie Herbst was born near Ethan, SD, on Aug 22, 1930, the fourth of five girls to Merle (Speelman) and W. Edward Herbst. Her upbringing on the family farm with strong faith in Jesus led to her choice to be sincere, hard-working, caring and positive. She attended rural school Baker #39 for elementary school and graduated from Mitchell High School in 1949. She attended Valparaiso University in Indiana where she met the love of her life, Charles Otto Stormo, whom she married on June 23, 1951. In addition to being a full time mother and farmer’s wife, she worked at Energy Industries, cheered at kids’ events with “Let’s Go Team”, gardened and canned the best applesauce, beets, pickles, sweet corn, peas and beans. Their stewardship of the Stormo family farm included conservation habitat for wildlife, irrigating sweet corn, shepherding sheep, gardening and creating a butterfly garden. She and Charles helped 13 Lutheran congregations build and/or remodel their churches with the Mission Builders organization. She was a member of New Hope Lutheran Church and Foley Garden Club. Helen is survived by her sisters Virginia Fern Wilcox of Rio Rancho, NM, Ramona May Neidlinger of Las Vegas, NV, five children, Paul of Elma, WA, and his children Aaron (Angie) and their children Elizabeth and George, and Leah (Will) Soles and their children Alex and Max; Loren (Joni) of Florence, MT, and their children Lindsey and Paige and her child Marissa; Keith (Mary) of Moscow, ID, and their children Aimee and Grant and his child Eben; Kay (Britt) Freund of Georgetown, TX, and their children Katrina and Randy; and Nathan (Tammy) of Highlands Ranch, CO, and their children Drew and his child Bentley, and Brooke. She has sister-in-laws Marilyn Stormo and Pat Stormo and numerous nieces and nephews. She was preceded in death by her husband Charles Stormo, sisters Carroll Van Dyke and Margaret Ruth Dulitz and her parents. Special thanks to Keith, Mary, Aimee, Grant and Eben Stormo, Guardian Angel Homes, Palouse Hills Assisted Living, Dr. Paz and Kindred Hospice who provided great care for her in Idaho after Charles passed away. Memorial contributions may be made to Joy Ranch, Florence, SD, (https://www.losd.org/joy/) or Lutheran World Relief Quilts and Kits Shipping Fund at (https://lwr.org/donate/shippingfund). Helen's family would also like to thank all the wonderful neighbors and friends whose companionship brought such joy to Charles and Helen during their many decades together. Memorial Services are planned for New Hope Church near Hayti, SD on Friday, July 5, 2019, at 10:00 am with Randy Eisenbeiz officiating and lunch to follow. Memorial services will also be held at First Presbyterian Church in Moscow, ID, on Saturday, Dec 1 at 11:00 am with Norman Fowler officiating.